I just picked up my 32 GB iPad from Best Buy (after my online order placed on March 27th was delayed until April 12) and I am not impressed. As usual iTunes bottlenecks the type of files I can sync with my iPad, Apple dictatorially controls what apps I can have, and I can’t customize the unit in any meaningful way. It is time to jailbreak this thing. Here’s how and why. Like all apple mobile products you MUST have a computer with iTunes available to turn on your iPad, so don’t go ripping it out of the cellophane in the car. Its pointless. When I did get back to my office and tethered the iPad to my Windows 7 netbook it took a few minutes to get things going, but nothing out of the ordinary. Then I tried to get the iPad on my WiFi network. Let the problems begin. Just like my iPhone, the iPad detected my network and asked me for a password. I enereted my password and the iPad authenticated. With the little three wave wifi icon in the top left corner I tapped on Safari and tried to open Google. Safari cannot open the page because it is not connected to the Internet. What the heck? !My netbook was on the wifi. My iPhone was on the wifi. My iPad as not. I tried rebooting the iPad, restoring the iPad,and forgetting the network and re-entering it. Nothing worked. Without internet the iPad isn’t even heavy enough to be a good paper weight, so I called Apple Support to figure out what the problem was. While everyone on the phone from Apple was very friendly and they tried to be helpful, they had no explanation. After some back and forth we discovered that the iPad was not pulling a “Router Number” from the router in my office and that is why it could authenticate and get an IP address but not actually connect. It was super frustrating to look at my iPhone perfectly connected with Router Number and all and then look at my brand new iPad with no internet legs whatsoever. Because of the limitations of the iPad software, it wouldn’t let me enter the router number (copied from my iPhone) and that was it. Nothing more to do. Thanks for trying an bye bye. One of the things that you probably don’t know is that you only get one iPad operating system update for free. After that, you pay for each one. No one knows how much they will be or if security updates will be considered OS upgrades, but this could actually be great news for jail breakers. If people have to pay for OS updates, they probably won’t update – especially if their iPad is jail broken. Setting aside the internet troubles for a moment, the iPad is a nice portable screen, so jail breaking it is going to be SWEET. Right now a couple of people I know who have had success developing jail breaks for the iPhone are working on the iPad. The SECOND they have a tested jail break I am going to be all over it and I will post the location and method used here. If you want to get an alert when the jail break is available for your iPad, leave a comment below and I will post an update comment when its in. Otherwise, subscribe to my RSS and you will get an alert in your email when it is posted,. Sorry you had to go through so much trouble already. 🙁 Wish I could provide a solution but I don’t own one. I’ve been considering buying it lately, but I just don’t have any use for one. I love my iPhone but the two products are the same except one is 3x the size of the other. 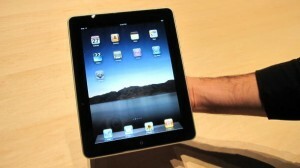 The problem is they didn’t put any new features in to the iPad. I’m crossing my fingers that a new iPhone comes out this year with some drastic changes to both the hardware and the OS. I am an Apple fan, but I decided to wait for while before buying the pad so that all the initial problems will be solved before I lay my hands on one. What you have listed here will come in useful and I am saving it up for the time when I do buy the pad. Thank you. Nice! I was wondering a lot about the IPad and I thought I wanted one, mainly because it is so portable, but it really just seems like a big waist of money for now.. I think I will wait awhile till these hidden fees become more available. I have not got one yet. Still waiting for people who have it to give some feedback before I purchase mine. Thks for sharing and sorry for the problem you are facing. Heheheheheheheh! I like it! Telling it as it is, that is why I frequent your blog, Thor. Apple is really silly with wanting to charge for future updates of the iPad’s operating system, and as you say, this means jailbreakers are going to abound. Do you have any further news on the right way to go about jailbreaking an iPad as of yet? Why can’t somebody just create a top of the range laptop but with a touch screen. Something not too bulky but slightly bigger than iPad. I would buy it right away. iPad is just a toy you can only play by somebody else’s rules. I am an Apple fan, but I decided to wait for while before buying the pad so that all the initial problems will be solved before I lay my hands on one. Way to abuse the system. never had any of the described issues but it’s always better to be prepared, right?